A traditional milk bar caramel flavour. Flavour of a creamy mango smoothie on a hot summer’s day. The creamy flavor of classic vanilla bean. The flavour of a ripe strawberry. A refreshing taste of Mint and chocolate. The taste of home-baked goodness! A tropical taste of bananas and sunshine. 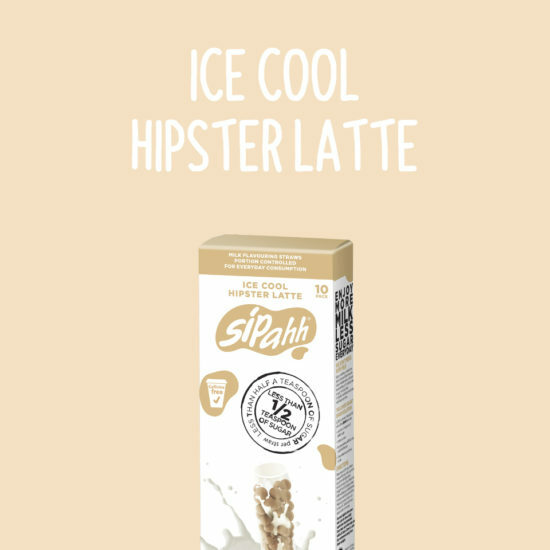 We treat every Sipahh flavor as special, because they are. Dreamt up by the lovely people in our community or imagined by people in our Sipahh HQ, we are constantly adding to our array of flavours. Inspired by fresh produce, old fashioned bake sales, your favourite kitchen and the milk bars of our childhood; they are subtle, smooth and always a delight. Which one is your favourite? Cocoa Bean Chocolate: Subtle, sweet and oh so good. 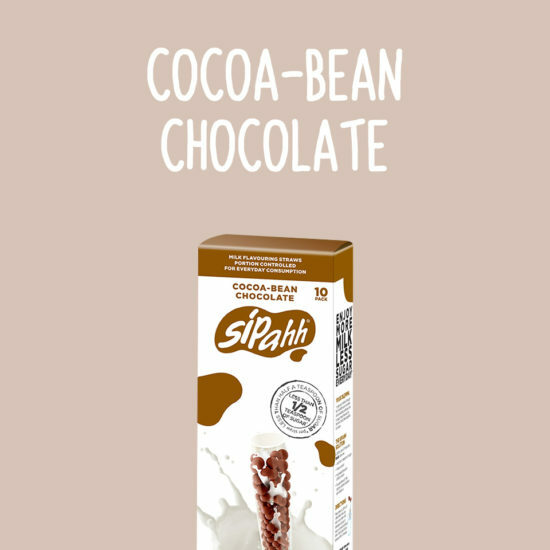 Simple and satisfying, our Cocoa Bean Chocolate straw is your every day chocolate drink. The taste is creative play and fun afternoons in a straw. 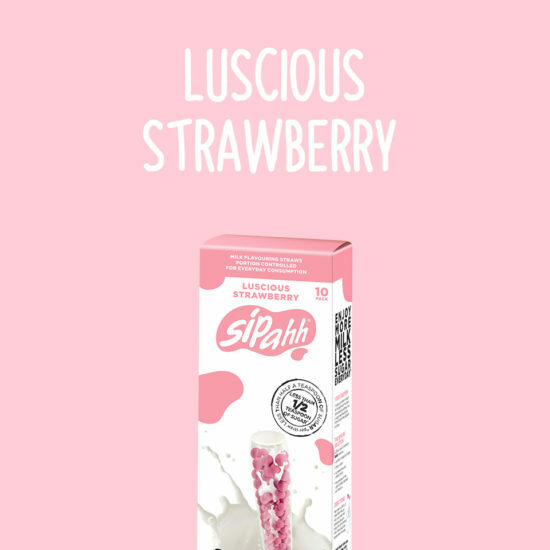 Luscious Strawberry: The first sip of a Luscious Strawberry Sipahh evokes the milk bar of yesteryear with a pastel drink that’s creamy and subtly sweet (ask mum or dad about the milk bar of yesteryear if you don’t remember them!). A familiar staple in every Australian childhood, Luscious Strawberry is an old fashioned favourite. 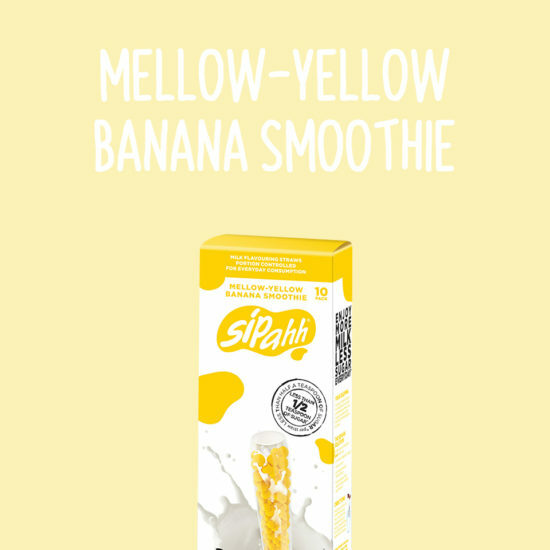 Mellow Yellow Banana Smoothie: Mellow and yellow, our Banana Smoothie straw is a lower-sugar version of the old fashioned banana milkshake. If people compliment you on your classic taste, your reliability and your timeless good looks, this straw is the one for you. 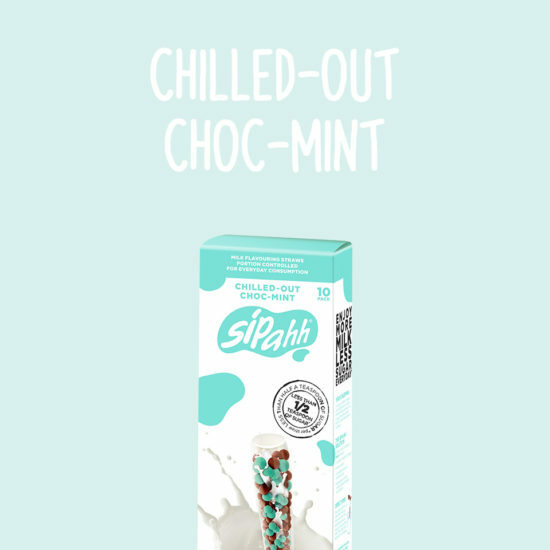 Chilled Out Choc Mint: For steadfast fans of chocolate-mint mashups, there is nothing better than therefreshing, creamy result that comes from this surprising combination. Reminiscent of summer, boardwalks, and afternoon strolls, Chilled Out Choc Mint is a firm favourite for choc-mint lovers. Discover it under a delicious mint green flow wrap, then enjoy! quality milkshake menu since it became a craze circa 1997. 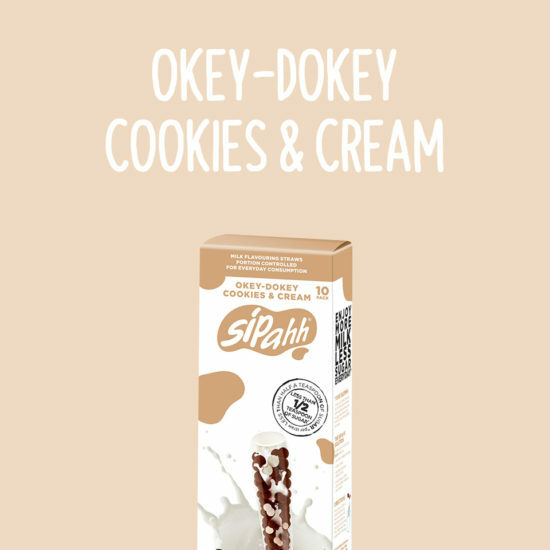 Okey dokey Cookies & Cream has the distinct quality of golden, oaty biscuits dunked in whole milk. Raspberry Fields: Like the finest raspberries from the first English early-summer harvest, our Raspberry Fields Sipahh straw is tangy and bursting with sweet surprise all at once. Its bright raspberry flow wrap speaks of the true raspberry flavour within. With notes of crisp freshness and evoking lush field raspberries from your favourite market stall, Raspberry Fields is a most welcome addition to the Sipahh range. 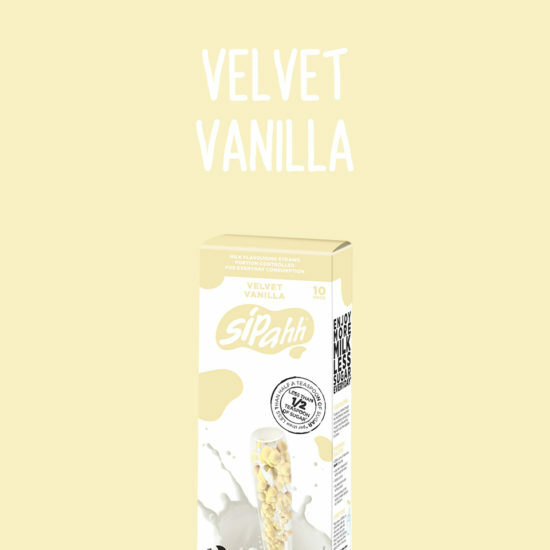 Velvet Vanilla: Aromatic, smooth and – of course – ultra creamy, Velvet Vanilla is a mild milky flavour for your favourite milky drink. With notes of the finest French varieties, our Velvet Vanilla straw is reminiscent of a simple vanilla sundae with a delicious wafer on top. Mango Smoothie: Is this the real summer fruit and milk in a blender? 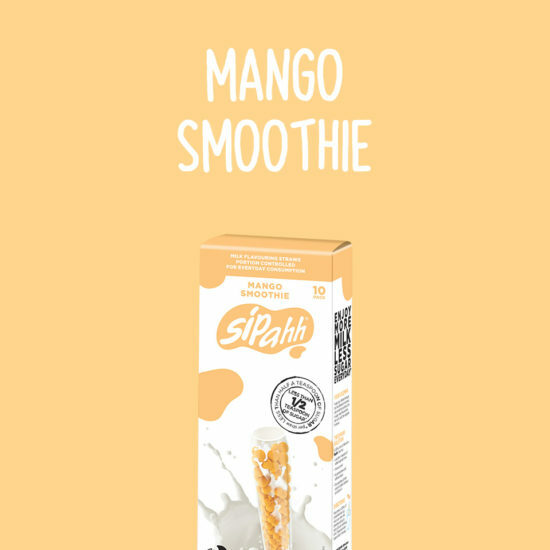 The person who made the first mango smoothie was a genius. An Australian staple, our Mango Smoothie straw is all balmy breeze, beach towels and cricket in the background … It’s simply summer in a straw! Tropical Splash: Pine lime, cream, piercing summer sun and vivid orange sunrise, Tropical Splash takes you on a tropical getaway with every sip. For the person always dreaming of the next island holiday, this is your escape in a lower-sugar straw. 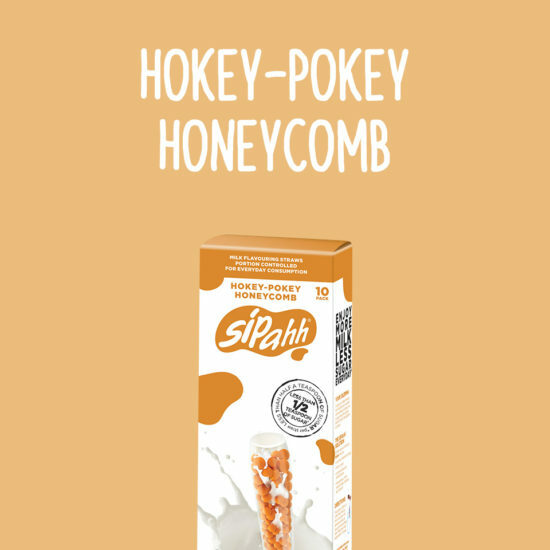 Hokey-Pokey Honeycomb: Like the best handmade honeycomb, our Hokey Pokey Honeycomb flavour melts in your mouth, leaving a soft caramel aftertaste. A firm favourite flavour with our New Zealand brus, honeycomb is buzzing bees, dripping honey, wilting flowers – your favourite things evoked in one simple, delicious sip. Lamington Dream: Our Lamington Dream Sipahh straw conjures up the classic Australian kitchen: wafts of baked butter cake rolled in chocolate and toasted coconut. We’ve captured the flavours so fittingly; we think it’s worthy of the blue ribbon at the Country Women’s Association bake off. Smooth Caramel: Traditional baked caramel – smooth, tasty and oh so inviting. 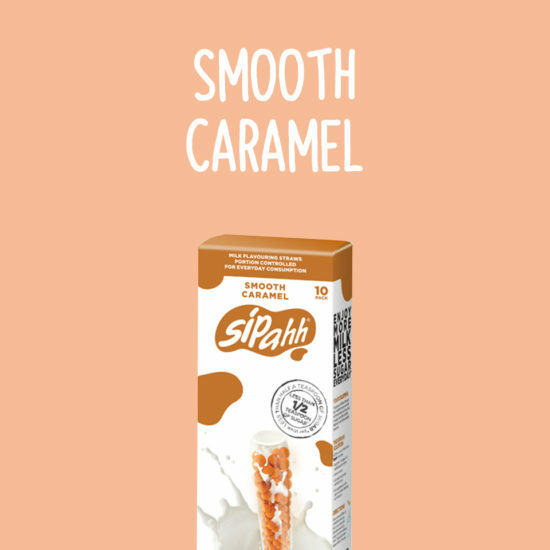 Like your favourite fudge, hard caramel or sticky sauce, our Smooth Caramel is timeless and adored by people of all ages. Marshmallow (hello)! Our friendly marshmallow straw, with its frosty pink flow wrap, is a new favourite for pastel loving dreamers. Snow White Choc: A flurry of delicious white chocolate, it’s everything you love in a pure winter’s day. Reminiscent of winter walks and snow angels, it’s equally delicious in a frosty chilled glass or mug of warm milk. Sunset Choc Orange: They always say opposites attract, but who knew these two flavours would be such a match made in heaven? Like night and day or Prince Charming and Cinderella, there’s a beautiful balance between these best friends. Fruity, tart orange with subtle, simple chocolate – just like jaffa balls. The sun goes down on another perfect romance. Granny’s Apple pie: Piping hot apple pie with crusty pastry, buttery stewed apples and fresh cream on the side. It’s homemade, wholesome and your best memory of school holidays spent at Granny’s. It’s your favourite winter treat, from your favourite family member captured in a Sipahh straw. Miss Ginger & Mr Bread: Do you know the muffin man? I think I know the muffin man … His sister is Miss Ginger and she thinks he always steals the show. Miss Ginger met Mr Bread and created the cutest fairy tale you ever did see. A fluffy, gingery flavour served best with creamy white milk. Campfire Choc Hazelnut: Hot crackling campfires, toasty winter hazelnuts, everyone’s favourite chocolate – it’s a recipe for good taste. A toasty, creamy combination evoking your favourite camping memories – starry nights, good ghost stories and camp oven suppers, made even better by your hearty outdoor appetite. 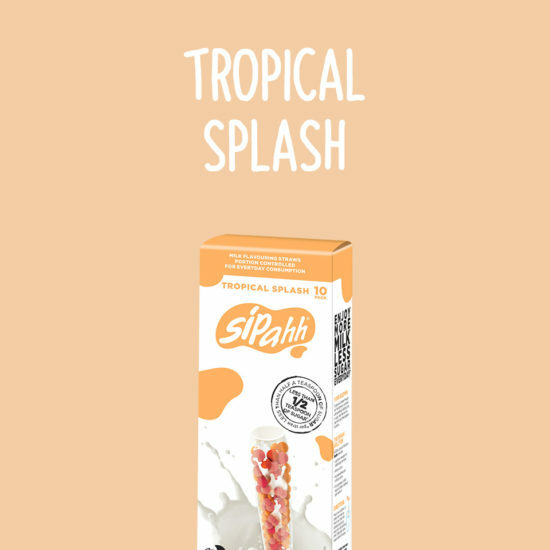 Unlike many products that confuse you with a long list of items that sound like they belong in a lab, Sipahh only has the following short list of ingredients.